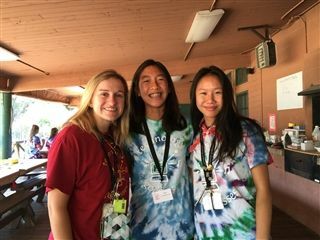 In July Katie Carmody '12, Kimberly Cheung ’20 and Megan Ong ’20 were counselors at the Girl Scouts Technology Goddesses Camp. Technology Goddesses' mission is to expose more girls to the diverse technologies of web, multimedia, and information technology, to increase the number of women in IT, computer science, and engineering. What a fantastic service opportunity over summer!